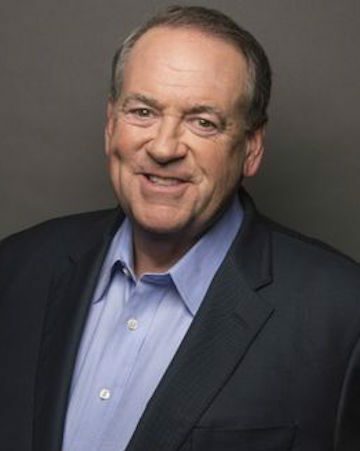 Mike Huckabee was the 44th Governor of Arkansas from 1996 until 2007, becoming one of the longest serving Governors in his state’s history, and was only the fourth Republican elected to any statewide office since Reconstruction, serving longer than the other three combined. Governing magazine named him as one of its “Public Officials of the Year” for 2005, and Time Magazine honored him as one of the five best governors in America. He has been honored by numerous organizations for his commitment to music education. He served as the Chairman of the prestigious National Governors Association, as well as the Education Commission of the States, the Southern Governors’ Association, and the Interstate Oil and Gas Commission. In his campaign for the Republican nomination for President in 2008, he finished second to John McCain. His political action committee, HuckPac, has amassed a volunteer team with thousands of activists in all 50 states. Governor Huckabee was the host of the #1 rated weekend show Huckabee, on the Fox News Channel, from 2008 until 2015. He also hosted The Huckabee Report – which was heard three times daily across the nation on almost 600 radio stations from 2009-2015 – and he is the New York Times bestselling author of 12 books. In 2017, he became host of his weekly show Huckabee airing on TBN. He is a contributor on Fox News and one of the nation’s most sought-after speakers.